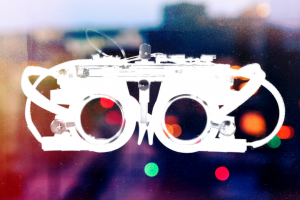 The Autofocal mimics the way your eyes naturally shift focus. For a type of prosthetic device on which three in four American adults rely, glasses and contact lenses have changed since the progressive lens emerged in 1956. And while robotic, prosthetic arms and legs are often designed to provide as realistic an experience as possible, a typical corrective lens just sort of sits there — no one who wears glasses would forget that they can’t see as well as their neighbor with 20/20. New technology could make glasses more active and help people with a type of extreme farsightedness called presbyopic vision, which could affect 123 million Americans in the next two years. When someone has presbyopic vision, their eye can no longer shift to focus on objects that are up close. To restore a natural sense of vision to presbyopes, Stanford researchers designed the Autofocal, a pair of high-tech glasses that track people’s eyes and automatically compensate for their vision by focusing similarly to how human eyes do. The team will be presenting their work in Vancouver this August at SIGGRAPH, a convention for emerging visual technology. The Autofocal is partly so awkward because it’s carrying around an impressive load of hardware — eye trackers, depth-sensing cameras, machinery to drive the automatically-refocusing lenses, and enough processing power for all those different components to work together. The main challenge facing the technology is whether people will be willing to bear the brunt of the higher cost (which has not been announced but can certainly be expected to cost more than a pair of prescription glasses) and the kinda goofy-looking setup for an improvement to their vision. On the upside, they would be able to see better. When photographer and programmer David Cardinal volunteered for Stanford’s Autofocal experiment and chronicled his experience for ExtremeTech, he described at great length how he and 23 of the other participants noticed they all had sharper vision and performed better on contrast and reading tests when wearing an Autofocal headset than they did while wearing their own prescription lenses. The difference comes from the Autofocal’s ability to detect when your eye shifts its focus — the lenses then change focus with the same mechanism as a biological eye, so people can see better when they change their focus the way it happens naturally. It’s like if an amputee upgraded from a crutch to a robotic, mind-controlled prosthetic leg. But, you know, for your eyes. 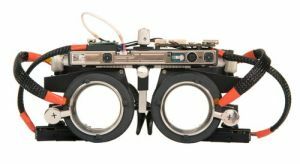 The Stanford team still has a bit of engineering and testing to do before they make a version of the Autofocal that far-sighted people could go out and buy. But if it works out, the researchers’ work could lead to the first major innovation to wearable eye correction in decades.